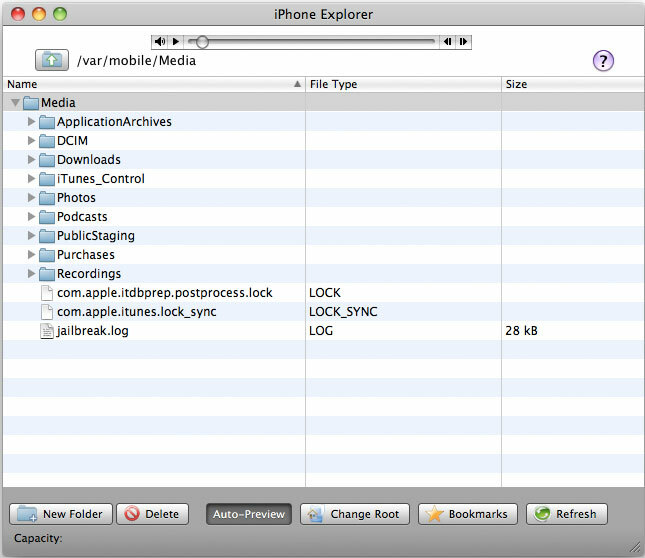 iPhone Explorer is 100% Freeware! iPhone Explorer is 100% free, fully functional and not bundled with lots of crappy toolbars or other stuff to messup your computer. If you like iPhone Explorer and insist on paying us for it, checkout our store and maybe buy the full version of one of our other programs. Works on Mac OSX & Windows! This program was built from the ground up twice: first for Windows, then for Mac OS. It's a native program to each of those operating systems so it won't be ugly, buggy or laggy like some programs that are quickly ported over. iPhone Explorer works on Mac OSX 10.5 and OSX 10.6, and it'll run on Windows XP, Vista or 7. It works with both 32 and 64 bit systems. Works with or without jailbreaking! Qweas is providing links to iPhone Explorer 2.2.1.4 as a courtesy, and makes no representations regarding iPhone Explorer or any other applications or any information related thereto. Any questions, complaints or claims regarding this application iPhone Explorer 2.2.1.4 must be directed to the appropriate software vendor. You may click the publisher link of iPhone Explorer on the top of this page to get more details about the vendor.